IN BEAUTIFUL DISGUISES tells the story of a sixteen-year-old girl living in a small town in South India. Life is not easy, especially when she’s been blessed with a family that includes a brother who watches TV as an occupation; a father who drinks and regularly bullies his family in alcoholic rage; and a silent, all-suffering mother. Insulated by her dreams of becoming Audrey Hepburn (and daily trips to the local cinema), she observes her family with critical detachment. But her inner world begins to crumble when the inevitable marriage is arranged for her and she runs away to Delhi to work as a maid. There, she falls in with the misfit members of her new household; Raju, the servant with the heart of a revolutionary, Maneka the maid who mysteriously disappears every night, and the seductive but arrogant Armand. But even as she embraces this brave new world she realizes that she can’t run forever. 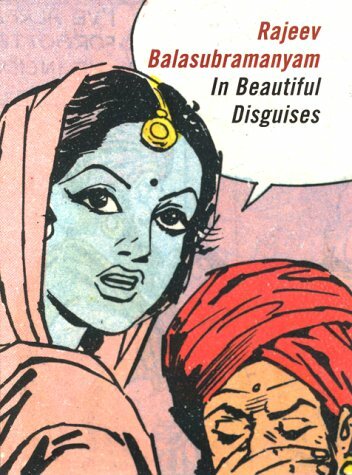 Balasubramanyam writes with an effortless air and a strong sense of mischief, but this lightness is shot through with intelligence and a compassion for human frailty. He has created an unforgettable heroine–childlike but determined, naïve yet shrewd–whose delightful voice resonates through the book.